1. Parizek M, Kasalkova N, Bacakova L, Slepicka P, Lisa V, Blazkova M, Svorcik V. Improved Adhesion, Growth and Maturation of Vascular Smooth Muscle Cells on Poly-ethylene Grafted with Bioactive Molecules and Carbon Particles. International Journal of Molecular Sciences. 2009; 10 (10): 4352–4374. 2. T.D. VU and T. KOFIDIS, National University of Singapore, Singapore DOI: 10.1533/9780857096715.2.127 © 2014 Woodhead Publishing Limited. 3. Weinberg CB, Bell E. A blood vessel model constructed from collagen and cultured vascular cells. Science. 1986; 231: 397–400. 4. Nicolas L’Heureux, Lucie Germain, Raymond Labb~, Francois A. Auger. Qulbec, Canada: In vitro construction of a human blood vessel from cultured vascular cells: A morphologic study. J. Vasc. Surg. 1993; 17: 499–509. 5. Matsuda T, Miwa H. A hybrid vascular model biomimicking the hierarchic structure of arterial wall: Neointimal stability and neoarterial regeneration process under arterial circulation. J. Thorac. Cardiovasc. Surg. 1995; 110: 988–997. 6. Kaushal S, Amiel GE, Guleserian KJ, Shapira OM, Perry T, Sutherland FW et al. Functional small-diameter neovessels created using endothelial progenitor cells expanded ex vivo. Nat Med. 2001; 7: 1035–1040. 7. Quint C, Kondo Y, Manson RJ, Lawson JH, Dardik A, Niklason LE. Decellularized tissue-engineered blood vessel as an arterial conduit. Proc. Natl. Acad. Sci. USA. 2011; 108: 9214–9219. 8. Tara S, Rocco KA, Hibino N, Sugiura T, Kurobe H, Breuer CK, Shinoka T. Vessel bioengineering. Circ. J. 2014 Jan; 78 (1): 12–19. 9. Wu H, Fan J, Chu CC, Wu J. Electrospinning of small diameter 3-D nanofi brous tubular scaffolds with controllable nanofi ber orientations for vascular grafts. J. Mater. Sci. Mater. Med. 2010; 21: 3207–3215. 10. Pektok E, Nottelet B, Tille JC, Gurny R, Kalangos A, Moeller M et al. Degradation and healing characteristics of small-diameter poly (epsilon-caprolactone) vascular grafts in the rat systemic arterial circulation. Circulation. 2008; 118: 2563–2570. 11. Roha JD, Sawh-Martineza R, Brennana MP, Jaya SM, Devineb L, Raoa DA et al. Tissue-engineered vascular grafts transform into mature blood vessels via an infl ammation-mediated process of vascular remodeling. January 26, 2010 PNAS | March 9, 2010 | vol. 107 | no. 10 | 4669–4674. 12. Su Y, Su Q, Liu W, Jin G, Mo X, Ramakrishna S. Dualdrug encapsulation and release from core-shell nanofi - bers. J. Biomater. Sci. Polym. Ed. 2011 March 18, doi: 10.1163/092050611X564137. 13. Захарова ИС, Живень МК, Саая ШБ, Карпенко АА, Шевченко АИ, Струнов АА и др. Разработка клеточных технологий для создания клеточно-наполненных сосудистых трансплантатов. Патология кровообращения и кардиохирургия. 2015; 19 (4–2): 43–54. 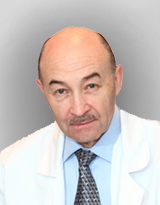 Zakharova IS, Zhiven’ MK, Saaya ShB, Karpenko AA, Shevchenko AI, Strunov AA i dr. Razrabotka kletochyh tehnologiy dlya sozdaniya kletochno-napolnennyh sosudistyh transplantatov. Patologiya krovoobrashenia i kardiohirurgia. 2015; 19 (4–2): 43–54. 14. Сергеевичев ДС, Васильева МБ, Субботовская АИ, Юношев АС, Сильвестров ВВ, Новрузов РБ, Карась- ков АМ. Bлияние детергентной и ферментной децеллюляризации на биомеханические свойства аортального аллографта. Вестник НГУ. Серия: Биология, клиническая медицина. 2012; 10 (4). Sergeevichev DS, Vasilieva MB, Subbotovskaya AI, Yunoshev AS, Silvestrov VV, Novruzov RB, Karaskov AM. Vliyaniye detergentnoy I fermentnoy detsellulyarizatsii na biomehanicheskie svoystva aortalnogo allografta. Vestnik NGU. Seriya: Biologiya, klinicheskaya meditsina. 2012; 10 (4). 15. Попова ИВ, Степанова АО, Сергеевичев ДС, Акулов АЕ, Захарова ИС, Покушалов ЕА, Лактионов ПП, Карпенко АА. Сравнительное исследование трех типов протезов, изготовленных методом электроспиннинга в эксперименте in vitro и in vivo. Патология кровообращения и кардиохирургия. 2015; 19 (4): 63– 71. Popova IV, Stepanova AO, Sergeevichev DS, Akulov AE, Zakharova IS, Pokushalov ЕA, Laktionov PP, Karpenko AA. Sravnitelnoe issledovanie treh tipov protezov, izgotovlennih metodom electrospininga v eksperimente in vitro i in vivo. Patologiya krovoobrascheniya i kardiohirurgia. 2015; 19 (4): 63–71. 16. Cynthia S. Wong, Melissa Sgarioto, Amal A. Owida, William Yang, Franklin L. Rosenfeldt, Yos S. Morsi. Polyethyleneterephthalate Provides Superior Retention of Endothelial Cells During Shear Stress Compared to Polytetrafl uoroethylene and Pericardium. Heart, Lung and Circulation . 2006; 15: 371–377. 17. Eybl E, Grimm M, Grabenwoger M, Bock P, Muller MM, Wolner E. Endothelial cell lining of bioprosthetic heart valve materials. J. Thorac. Cardiovasc. Surg. 1992; 104 (3): 763–9. 18. Simon P, Kasimir MT, Seebacher G, Weigel G, Ullrich R, Salzer-Muhar U et al. Early failure of the tissue engineered porcine heart valve SYNERGRAFT in pediatric patients. Eur. J. Cardiothorac. Surg. 2003; 23: 1002–1006. 19. Kannan RY, Salacinski HJ, Sales K, Butler P, Seifalian AM. The roles of tissue engineering and vascularisation in the development of micro-vascular networks: A review. Biomaterials. 2005; 26 (14): 1857–1875. 20. Rotmans JI, Heyligers JM, Verhagen HJ, Velema E, Nagtegaal MM, de Kleijn DP et al. In vivo cell seeding with anti-CD34 antibodies successfully accelerates endothelialization but stimulates intimal hyperplasia in porcine arteriovenous expanded polytetrafl uoroethylene grafts. Circulation. 2005; 112 (1): 12–18. 21. Mirenghi L, Ramires PA, Pentassuglia RE, Rotolo P, Romito A. Growth of human endothelial cells on plasmatreated polyethyleneterephthalate surfaces. J. Mater. Sci. Mater. Med. 2000; 11 (5): 327–331. 22. Thompson MM, Budd JS, Eady SL, Allen KE, James M, James RF et al. Effect of seeding time and density on endothelial cell attachment to damaged vascular surfaces. Br. J. Surg. 1993; 80 (3): 359–362. 23. Miyata T, Conte MS, Trudell LA, Mason D, Whittemore AD, Birinyi LK. Delayed exposure to pulsatile shear stress improves retention of human saphenous vein endothelial cells on seeded ePTFE grafts. J. Surg. Res. 1991; 50 (5): 485–493.